Note: This book is also listed as The Crazy Game by Clint Malarchuk. From The Publisher: No job in the world of sports is as intimidating, exhilarating, and stress-ridden as that of a hockey goaltender. Clint Malarchuk did that job while suffering high anxiety, depression, and obsessive compulsive disorder and had his career nearly literally cut short by a skate across his neck, to date the most gruesome injury hockey has ever seen. 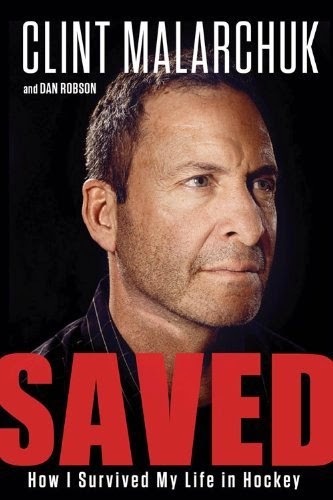 This autobiography takes readers deep into the troubled mind of Clint Malarchuk, the former NHL goaltender for the Quebec Nordiques, the Washington Capitals, and the Buffalo Sabres. When his carotid artery was slashed during a collision in the crease, Malarchuk nearly died on the ice. Forever changed, he struggled deeply with depression and a dependence on alcohol, which nearly cost him his life and left a bullet in his head. Now working as the goaltender coach for the Calgary Flames, Malarchuk reflects on his past as he looks forward to the future, every day grateful to have cheated death—twice.